In terms of performance, the 360 hp petrol engine with 500 Nm of pulling power places the GTS between the Macan S and the Macan Turbo in the range line-up. 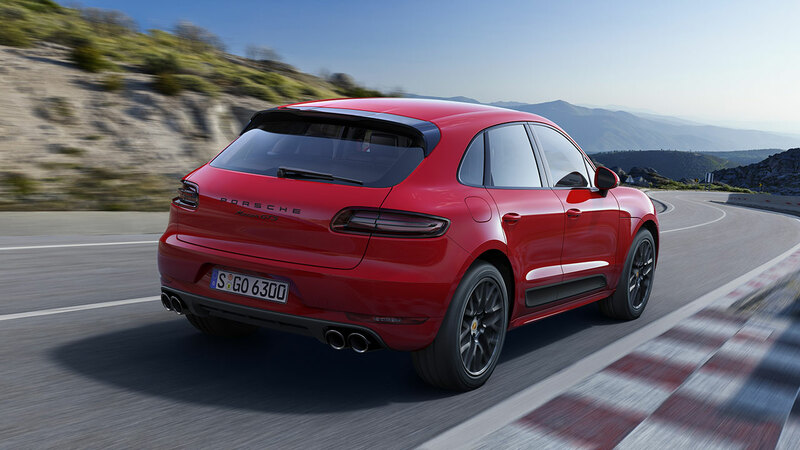 The technical basis for this is the 3.0-litre, twin-turbocharged V6 of the Macan S, supplemented by the Porsche Doppelkupplung (PDK) seven-speed transmission and Porsche Traction Management (PTM) with variable power distribution to all four wheels. A sports exhaust system gives an aural clue to the potency of the heart beating within. A more sporting state of tune has been applied to the Porsche Active Suspension Management (PASM), which also offers a 15mm lowered ride height. The 20-inch diameter RS Spyder design alloy wheels finished in matt black paint complete the dynamic focus of the GTS. Incidentally, the wider tyres on the rear axle that are a unique feature of every Macan chassis, also provide a particularly purposeful stance to the new model. Outstanding Porsche dynamic ability combined with characteristic day-to-day versatility are offered by the Macan GTS; 0-62 mph acceleration is possible in 5.2 secs, just 5.0 secs with the optional Sport Chrono package. Top speed is 160 mph. This is balanced by fuel economy of up to 31.4 mpg Combined and CO2 emissions of 212 g/km. Inside, the athletic style continues with ‘GTS’ sport seats with Alcantara centre panels, and additional Alcantara interior trim. 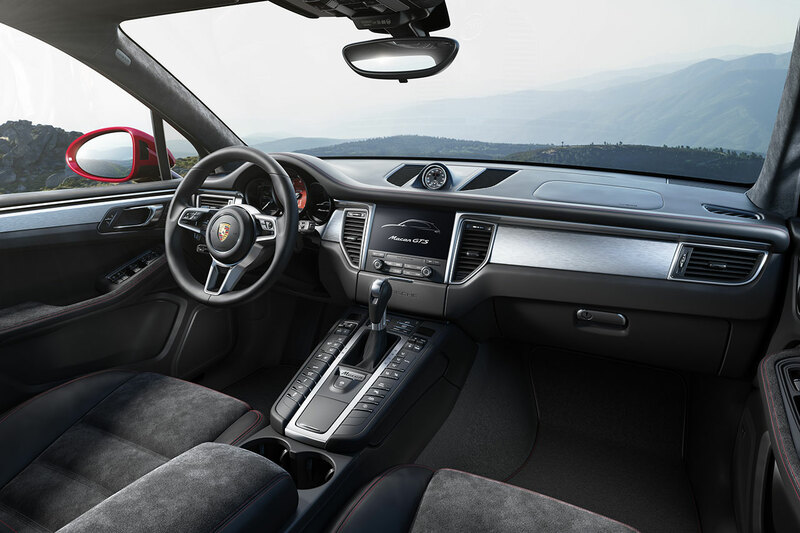 The new Porsche Communication Management with a touch-screen monitor, extended functionality and increased operating comfort first seen in the next generation 911 now celebrates its debut in the Macan. The range of connectivity and infotainment versatility can be extended further with key options, which includes satellite navigation. Together with the optional Connect Plus module, the multi-touch monitor offers online navigation with real-time traffic information and smartphone integration via Apple CarPlay®. The Macan GTS can be recognised at first glance by exterior accents in black – in high gloss above the waistline and in a lustrous matt finish in the lower areas of the body. This is further complemented by a special version of the Sport Design styling package in GTS-specific colouring. For the first time, the Macan GTS is also available with LED headlights as an option which extend the range of illumination of the road under all conditions. Together, these special qualities position the new Macan GTS as offering increased dynamic ability as well as further emphasising the traditional Porsche brand attributes. 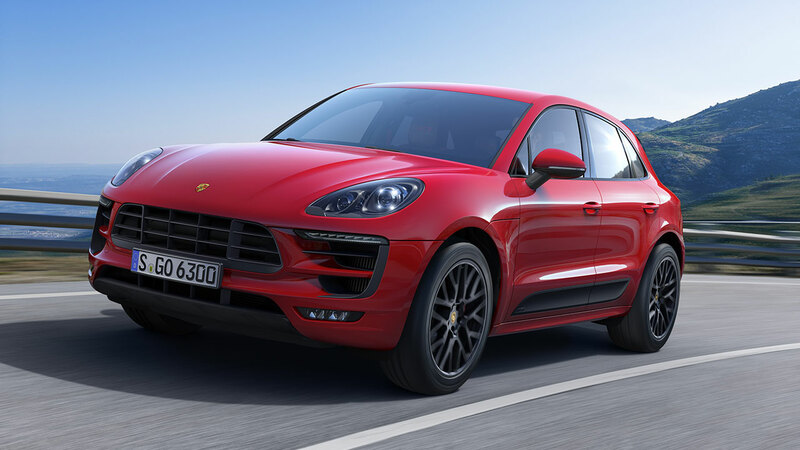 As a result, the GTS supports the claim that the Macan is the sports car in the compact SUV market segment. The Macan GTS goes on sale in the UK and Ireland from 28 October, 2015, priced from £55,188 RRP. Standard equipment on every Macan GTS includes Porsche Traction Management (PTM), seven-speed Porsche Doppelkupplung (PDK) double-clutch transmission, Porsche Active Suspension Management (PASM), sports exhaust, 20-inch diameter matt black finish alloy wheels, Sport Design exterior styling, sports seats with ‘GTS’ interior highlights, digital radio, front and rear ParkAssist, floor mats, multi-function steering wheel with gearshift paddles, electronic tailgate release, USB port, Bluetooth connection, and a three-year warranty and three year roadside assistance package. Customers will also be able to explore the potential of their new Macan GTS, and further develop their own skills behind the wheel, by participating in a complimentary course at the Porsche Experience Centre, Silverstone.